Summer is the most popular time for families to take a well-deserved break from work and school and all of life’s responsibilities. Before you go on vacation, it’s important to make sure your home is in order so that everything runs smoothly while you’re away. Follow these quick and easy tips for preparing your home for vacation. One of the easiest clues for people to realize you aren’t home (and to attract burglars and other crime) is for your house to appear unoccupied. Mail stacked up in your mailbox and a pile of newspapers on your driveway is a sure sign that no one is home. When preparing your home for vacation, make sure to contact your post office and have everything paused until you get back. You can also ask a trusted friend or neighbor to collect it for you while you’re away. Whether it’s asking a neighbor to feed your pets or boarding them at the kennel, it’s important to make arrangements for your pets while you’re away. A housesitter is always a good option since it means your house will be regularly occupied while you’re gone. Do not leave these plans until the last minute. Making sure your pets are cared for is essential when preparing your home for vacation. 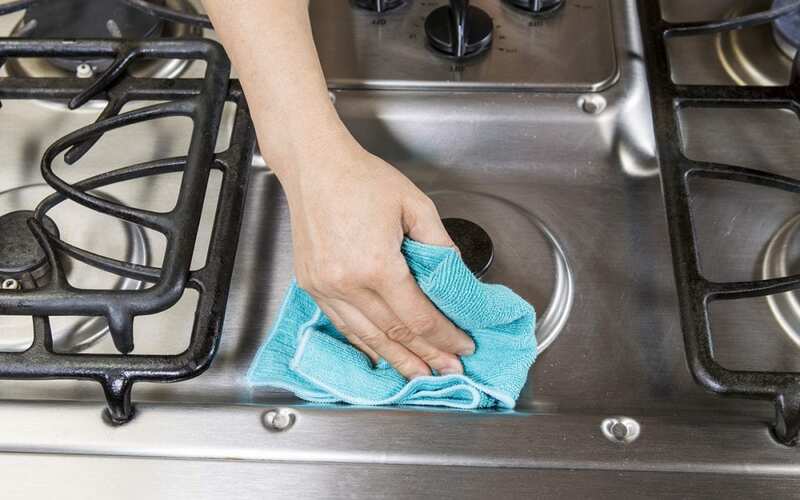 The last thing you’ll want to do when you get home is clean up, so make sure you clean before you leave. Take out the trash and run the garbage disposal to account for any lingering odors. Be sure to throw out any food that may spoil or expire before your return. Also, wash and change your bedding so you have fresh sheets in place for your first night home. A thorough cleaning before you depart for your trip will allow you to come home to a clean home and will make the transition from vacation back into the real world easier. Posting about when you’ll be gone and when you’re coming back is a great way for people to know that your house will be vacant. To keep your home safe, only post about your travels after you have returned. If you do post about being on vacation, keep dates and details broad so that it is unclear when exactly you will be gone. You can also create a private group of trusted friends and family and only share your travel experiences with them rather than the general public. There are lots of things you cannot account for in your home, so having somebody check in while you’re away is wise. Having somebody regularly staying or coming by helps make your house look occupied. A house sitter can make sure everything runs smoothly and can keep tabs on things while you’re on vacation. Call your friend or trusted neighbor and ask them to just spend a little time in your home every day while you’re gone. This cheap investment can save you lots of money in the long run. You’ll be able to enjoy your vacation and rest easy knowing that everything is going well on the home front. To limit the risk of a fire or power surge, unplug all appliances that do not need to be plugged in. Leave a couple lamps plugged in and set them on a timer to give the illusion of someone being home. Unplugging most of your electronics will also help cut down on your electric bill, saving you money while you’re away. Also, adjust your thermostat so that it is closer to the outside temperature than it would be if you were home. When it comes to being away, preparing your home for vacation is important to protect your property and give you peace of mind while you’re gone. By taking a few simple steps, you can enjoy your vacation even more, and reduce stress when it’s time to come home. Rhode Island Real Estate Inspection Services provides home inspection services to all of Rhode Island. Contact us to schedule your appointment.